I’m starting off 2012 with a positive surge of energy and eagerness because I know this is going to be a great year! This year, although I don’t set new year’s goals or resolutions, I am looking forward to staying out of the hospital for the entire year, seeing my Etsy shop, Arwen’s Child, take off, and finally, voting in a new president! Don’t know what your political affiliations are, but I am leaning heavily toward Ron Paul at this time. 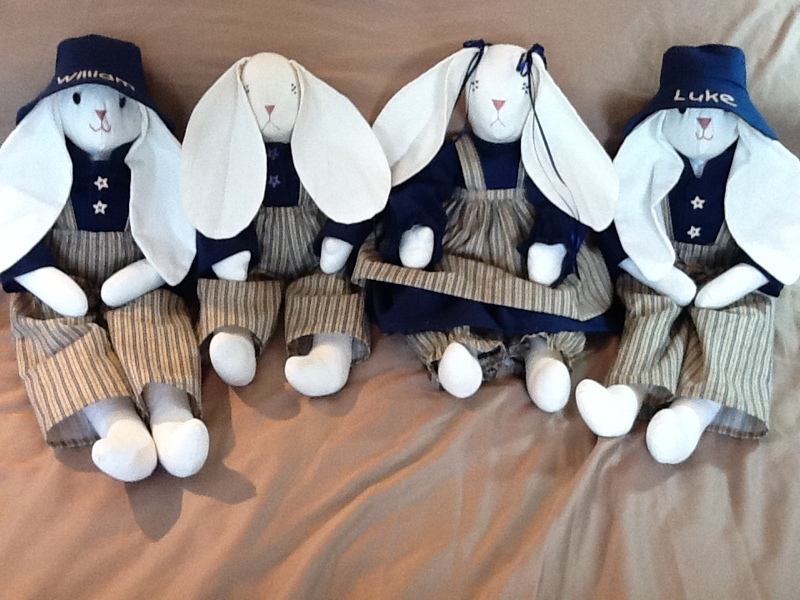 All the gifts I made throughout the year and stored for Christmas seemed to be appreciated and loved by all recipients. 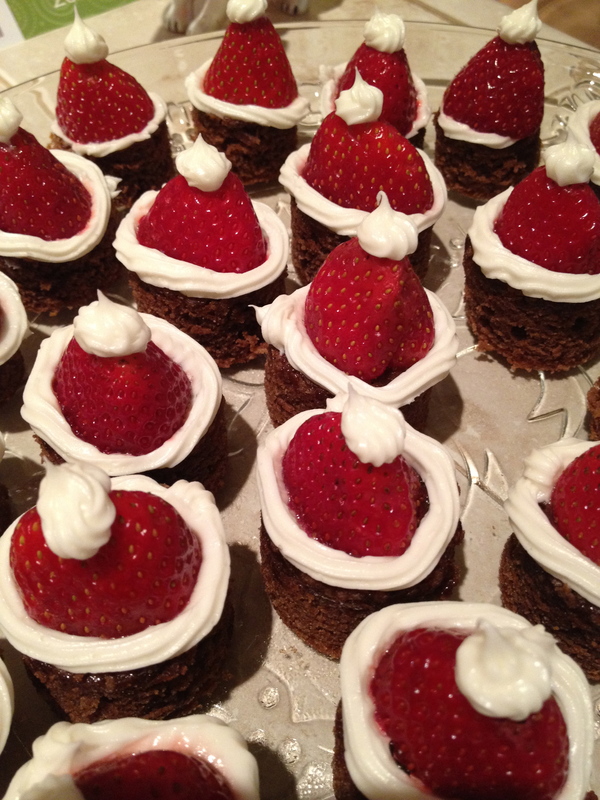 We had Christmas dinner and desert with the parental units on Christmas Eve and I made these. 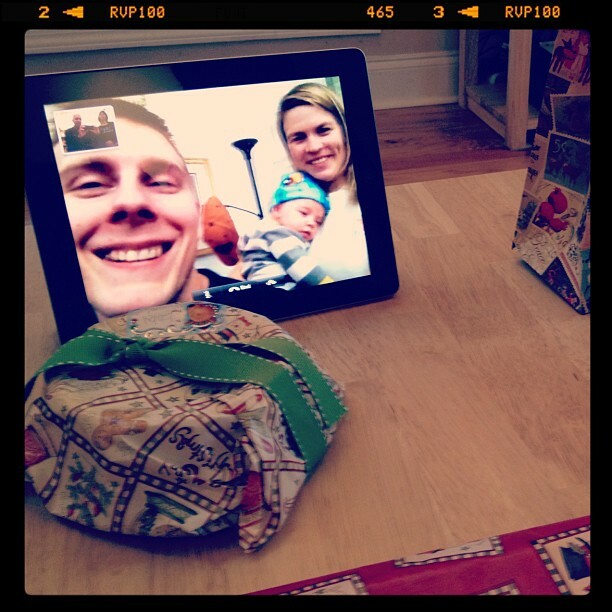 Christmas Day we shared with the kids in Colorado via FaceTime. 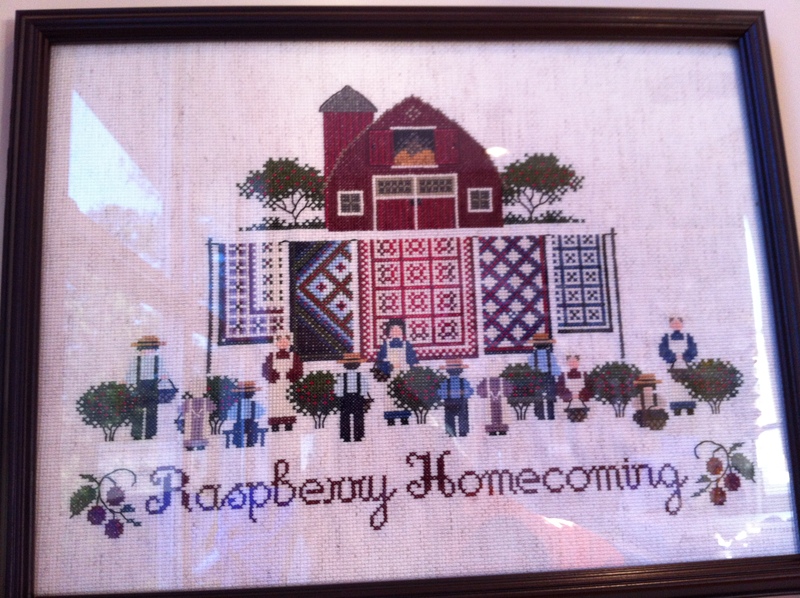 As far as I can tell, EVERYONE liked what I made for them for Christmas. Everything fit every recipient, which was a plus! I think I am going to continue to make or (in rare cases) purchase Christmas gifts throughout the year. It really saved a lot of stress and $$ at the end of the year. 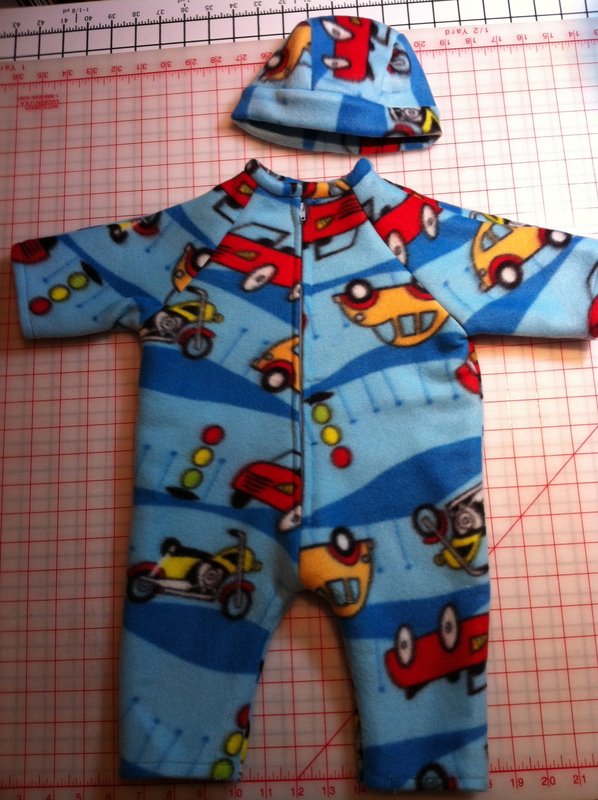 So, if you are (or want to be, I’m happy to make gifts for those who will cherish them) on my list, please make sure I have your sizes and pertinent information so that I can make you something that fits. Christmas for me was pretty cool this year, in terms of gifts, also. 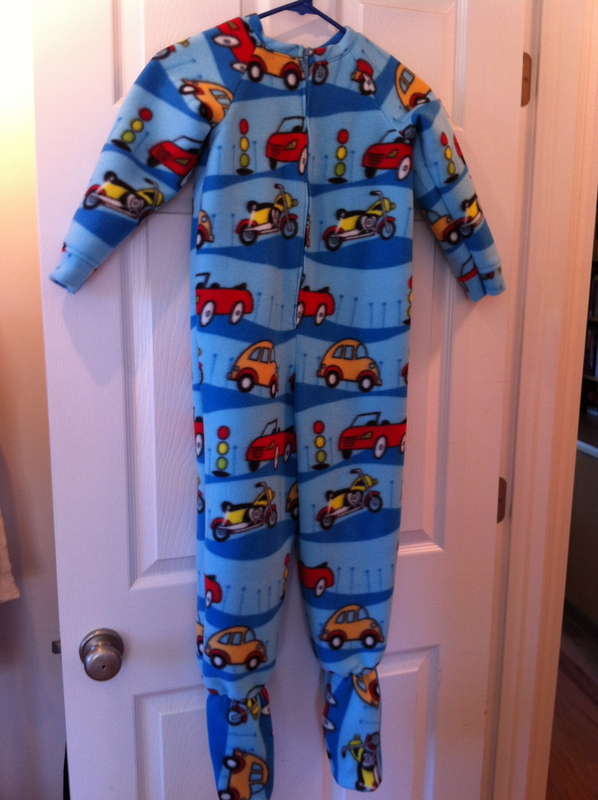 I pooled my saving stash with my Christmas gift money (and Scott’s) and picked out this baby. 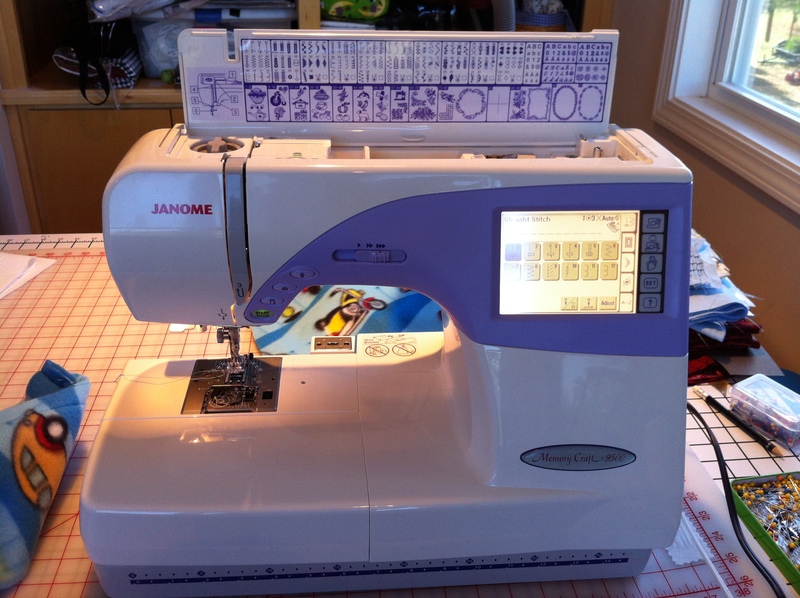 She is a Janome 9500 and is totally awesome! I haven’t done any embroidery on her yet, but I will very soon. 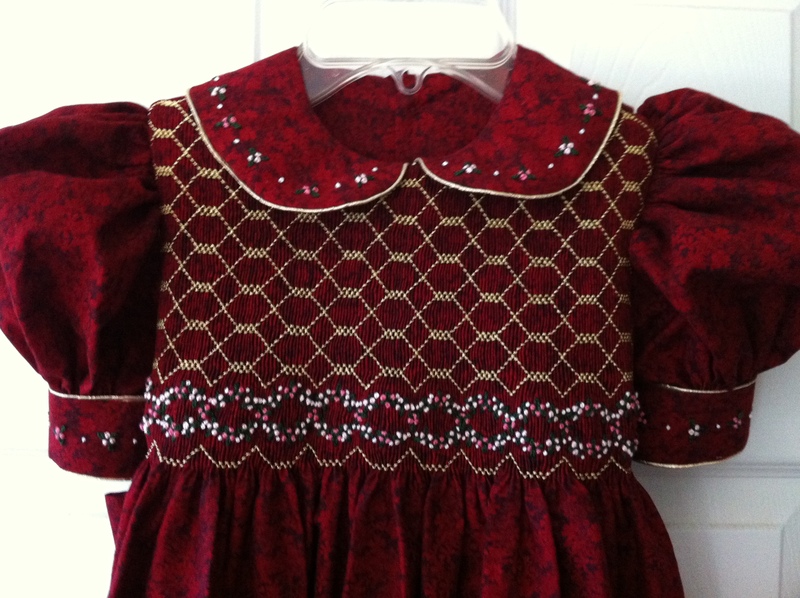 Over the Christmas holidays I was able to finish up one of the two wine colored dresses that had been commissioned last year before I went into the hospital. Unfortunately, I had to refund the deposit to the customer because of the hospital and recovery issue, but I still want to finish the two dresses for Arwen’s Child. 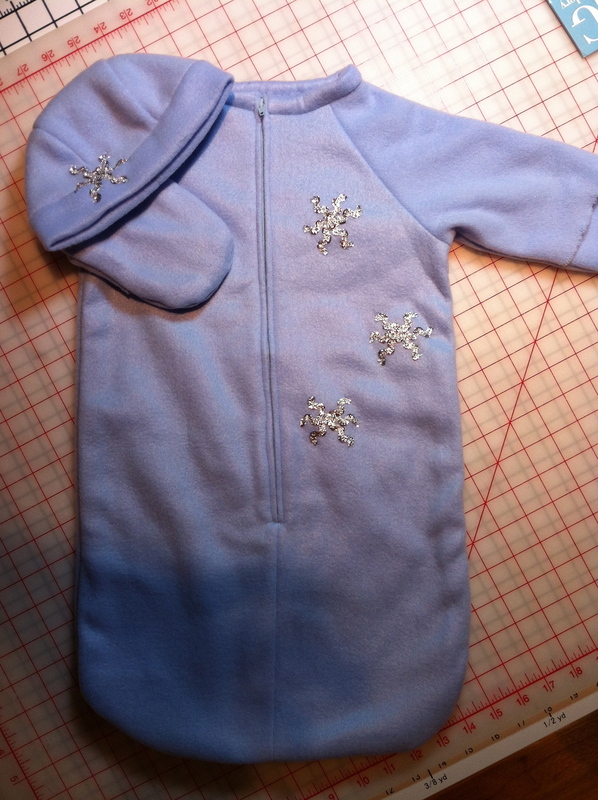 Here is the first one of the pair. This dress is called Hope and is available. 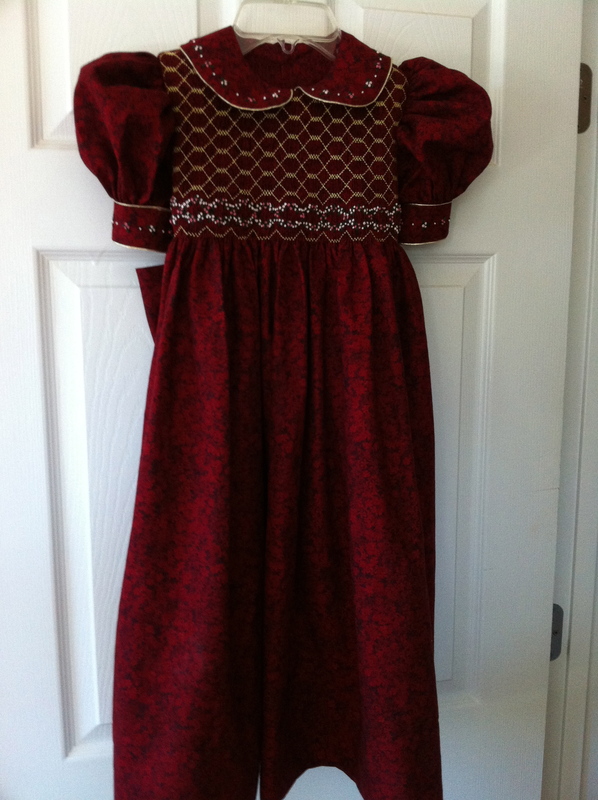 The dress is size 6 and would make a wonderful special occasion dress for a lovely little girl. 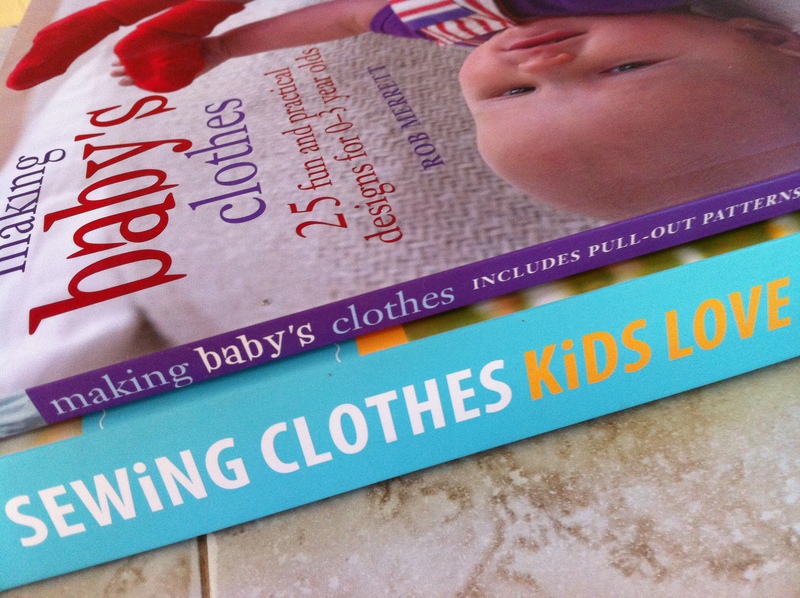 If you visit my shop, please make it one of your favorites. I would appreciate it! The second gift I received was an Amazon gift card. Yep, it is spent! Those things don’t survive long in my hands. Here is what I procured with it. 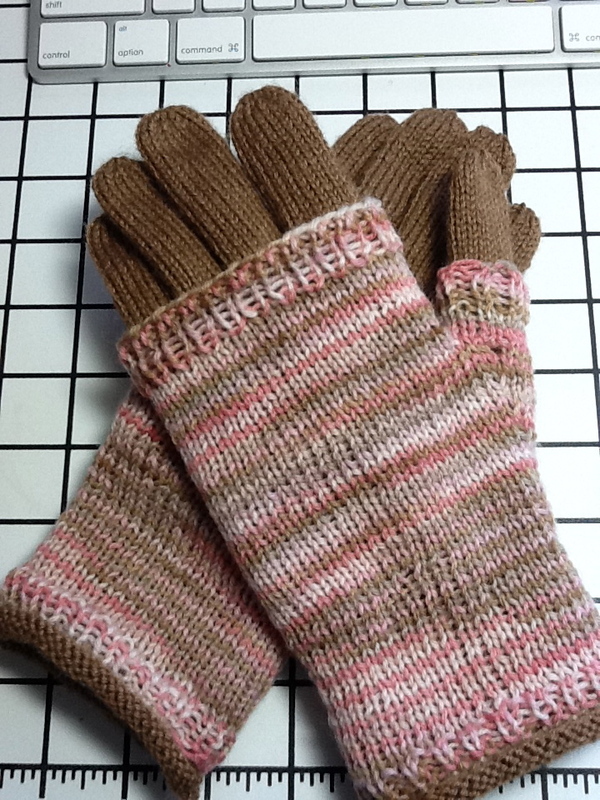 Finally, I did finish one other project over the holiday. 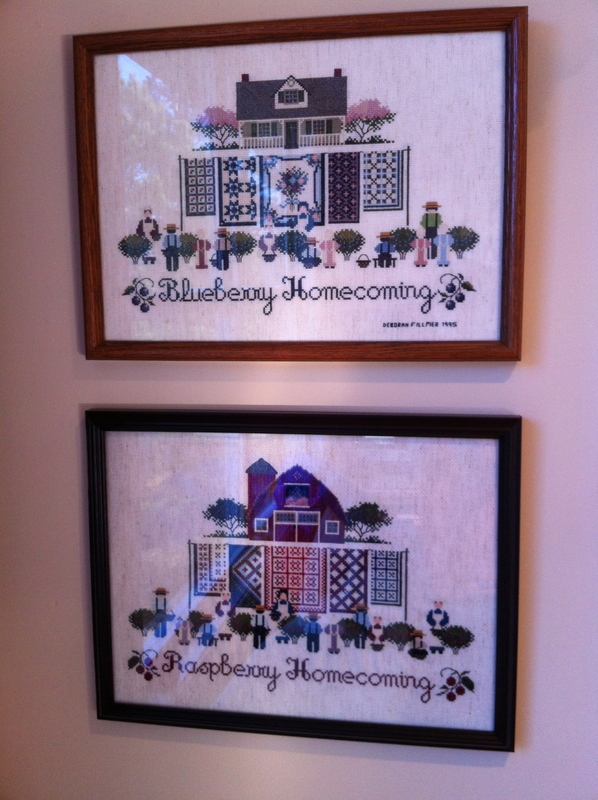 In 1995, I stitched “Blueberry Homecoming” and now I have, framed, it’s twin piece “Raspberry Homecoming.” Sixteen years between the two but I can cross them off the bucket list. 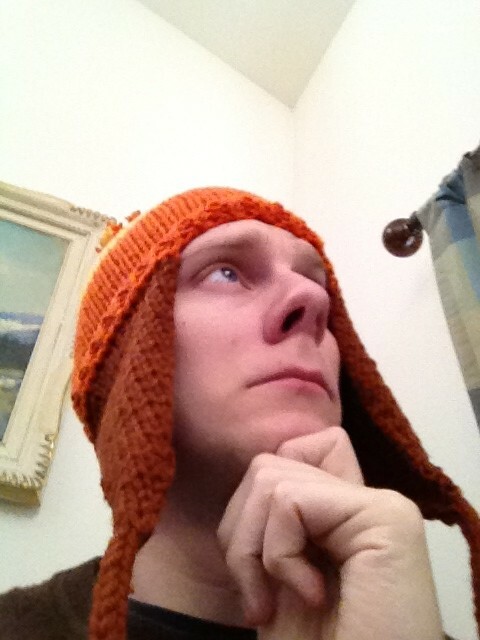 Here’s hoping everyone who reads this has a super 2012.